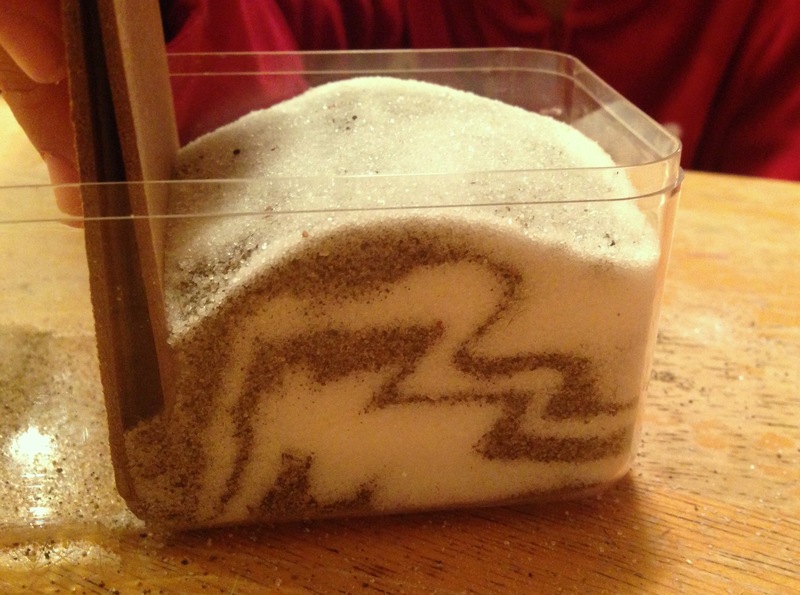 Model sedimentary rock formation and uplifting with layers of sand and sugar. Discuss formation of mountains and/or how fossils are discovered. 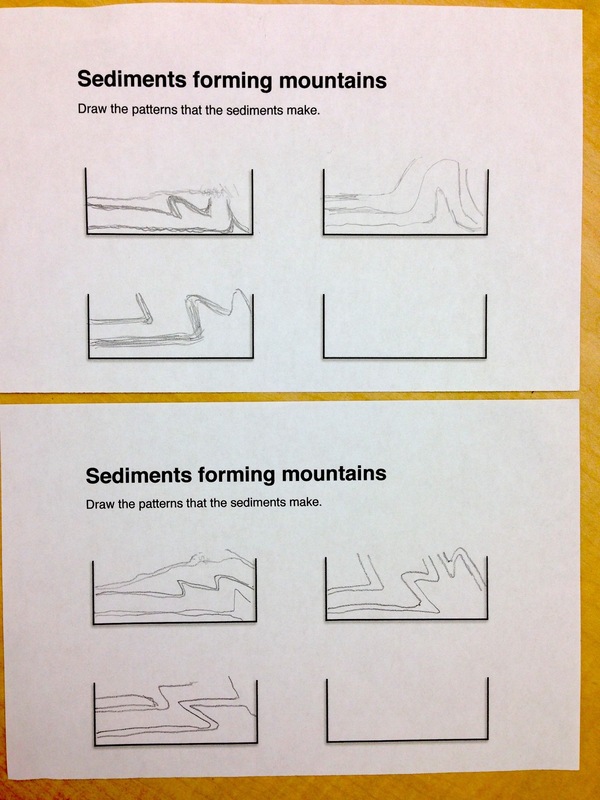 This activity models how sedimentary rock is formed, and then uplifted. 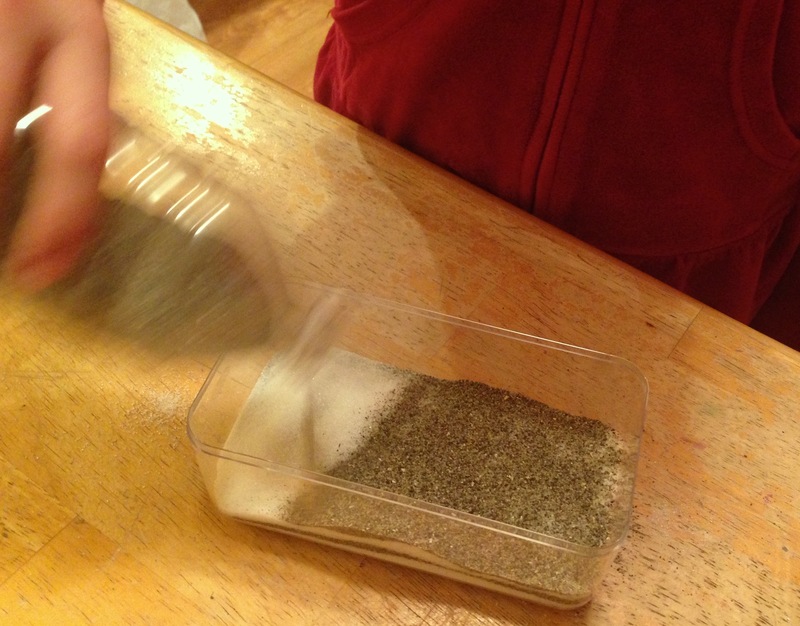 Layer the sand and sugar alternately in the container. 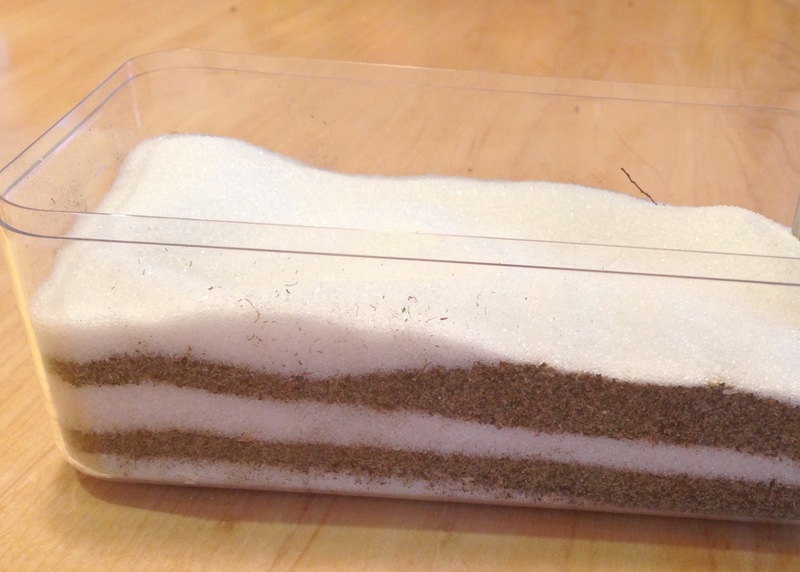 It seems to work best if the lighter sugar layers are about 1cm deep and the dark sand layers are 2-3mm deep. 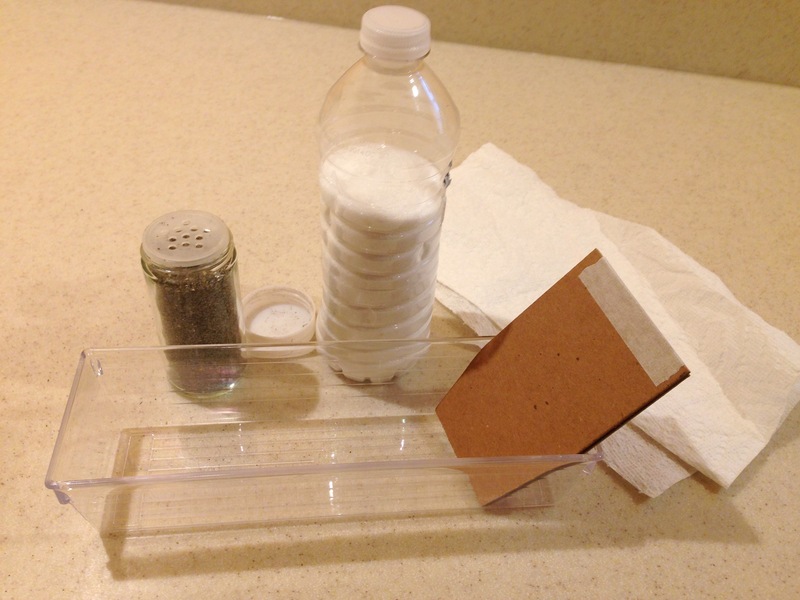 Make at least three layers of each, depending on the container size. End with a layer of sugar. Hold the cardboard upright and push it to the bottom of the container at one end. Slowly slide the cardboard along the container, making sure that it stays touching the bottom as it moves. Try and move it as smoothly as possible. 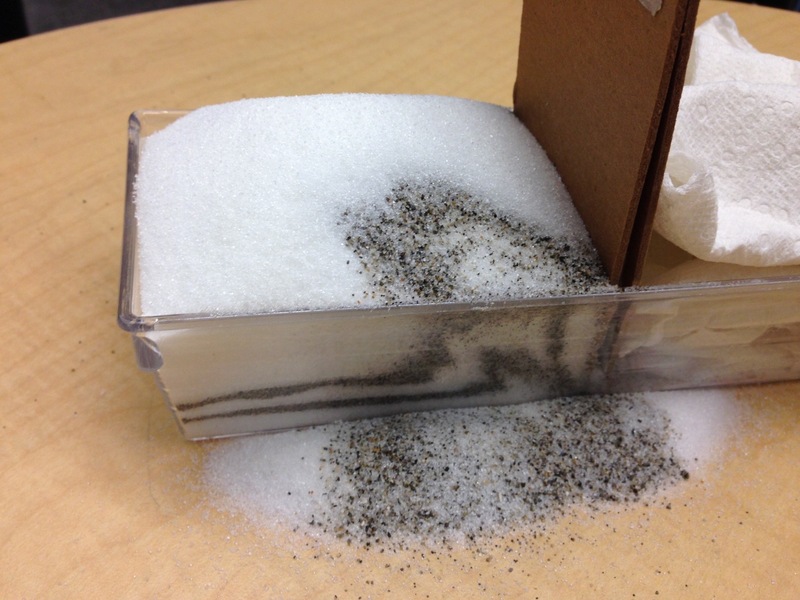 Sand and sugar may spill out of the top of the container. Watch through the side as the layers buckle and fold. Stop the uplifting when the folds are clear before they start getting muddled up - when the card is about half way along the container. Then stuff in sheets of tissue/cloth to hold the cardboard in place. Allow students to move around the classroom and visit all of the models, as they will vary in the folds they make, and some will be clearer than others. Students can use the attached worksheet to draw the shapes of the folds in models of their choice. Pick out a couple of examples to bring to group discussion. Show images of real sedimentary folds. Ask students to find the same shape folds in their models. 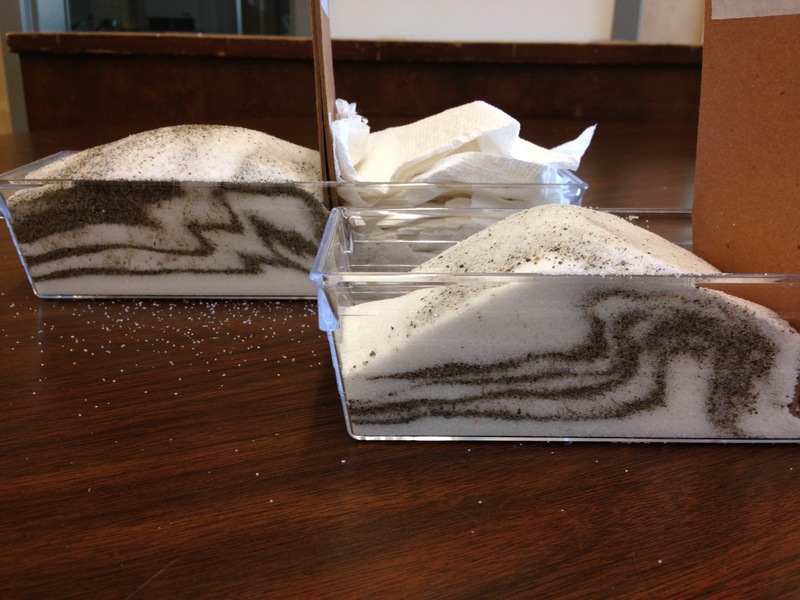 Sediment that has been eroded by water and wind collects in lakes, oceans and deserts. (This activity uses layers of different colours so that they are clearly visible, though this is often not the case with real sedimentary rock.) Over time, the lower layers of sediment become deeply buried and compressed into solid sedimentary rock. When continental tectonic plates move together (converging) their edges buckle and fold upwards. Rock layers that were buried are uplifted, the layers making folds like the ones made here. The Alps and Himalayas were formed over 10s of millions of years - the Alps from the African and Eurasian tectonic plates colliding and the Himalayan Mountains from the convergence of the Indian and Eurasian plates. At the summit of Mount Everest there is marine limestone. Fossils are made when an animal or plant dies and becomes buried in sediment. Hard animal body parts such as bones and shells are preserved and are slowly hardened into rock. Hard plant parts can be preserved, or plants make impressions (prints) between rock layers. If the sedimentary rock is uplifted and subsequent erosion removes layers of the rock (see last photo), fossils can be exposed and discovered. By determining the age of the rock that a fossil is found in, scientists can construct a map of what life forms existed at what times. Fossils contribute greatly to understanding the evolution of life on earth. Finer play sand seems to bleed into the sugar layer more readily than beach sand. Do the grain sizes need to be matched?